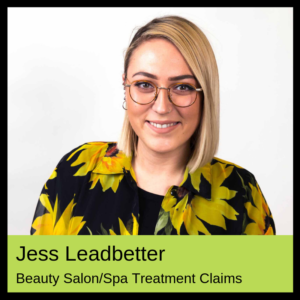 Like most aspects of the beauty industry, the provision of sun-bed sessions is unregulated and may result in unqualified and untrained personnel supervising your treatment. In addition, there are no regulations that govern the repair and maintenance of sunbeds. A sunbed compensation claim reflects the fact that tanning injuries can be painful with burns and blisters being the most common result of negligent use or faulty equipment. If you sustain an injury as a result of sunbed use Cohen Cramer Solicitors can help you make a sunbed compensation claim. We will recover compensation for your injuries and losses and do so on a no win no fee basis. The sun-bed may have been in a tanning studio, your local gym or spa. Regardless of where it is located, those providing the service owe you a duty of care to ensure that it is safe to use and that it is used in a safe and responsible way. ask you to complete a medical form on your first visit to ensure that you do not have a condition that may be adversely affected by the tanning treatment. provide information on the safe usage of the equipment with regards to how long the session should be and the appropriate intensity. provide you with goggles to protect your eyes from the UV light produced during the treatment. There are set EU regulations as to the amount of ultraviolet light that can be emitted by a sun-bed and the output of your sun-bed should be clearly marked. You should also be given full safety advice based upon the frequency of use, your skin type etc. If you are thinking of bringing a claim we would strongly recommend that you take photographs of your injuries over their recovery period. Such images will be very helpful when it comes to proving fault as well as the value of your claim. What can I claim for my sunbed claim? all and any other financial losses resulting from the incident. Enter your contact details into the contact box at the bottom of this page and we will get right back to you.